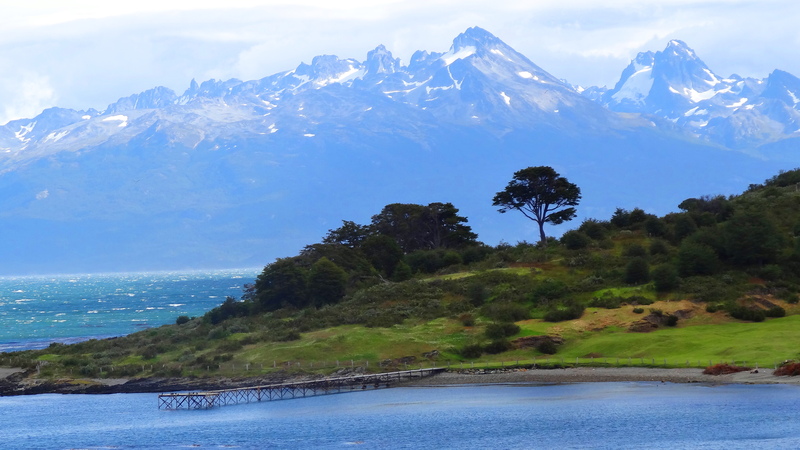 The weather in Ushuaia is directly influenced by its proximity to Antarctica and by the towering Andes that surround the region. 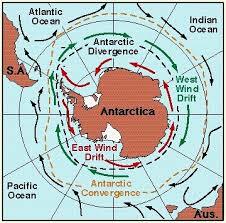 It is a Magellanic subpolar climate. Winds are always present, but especially intense during the winter season. 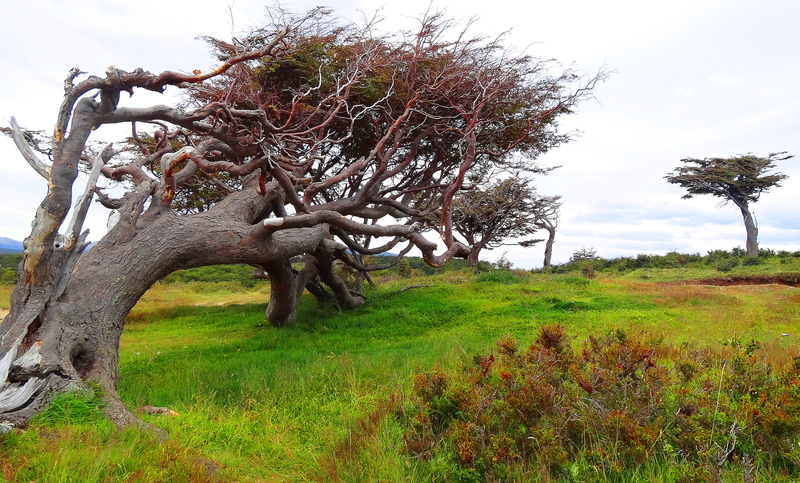 Trees in Ushuaia tend to follow the wind direction in an uni-directional growth pattern creating a twisted appearance. 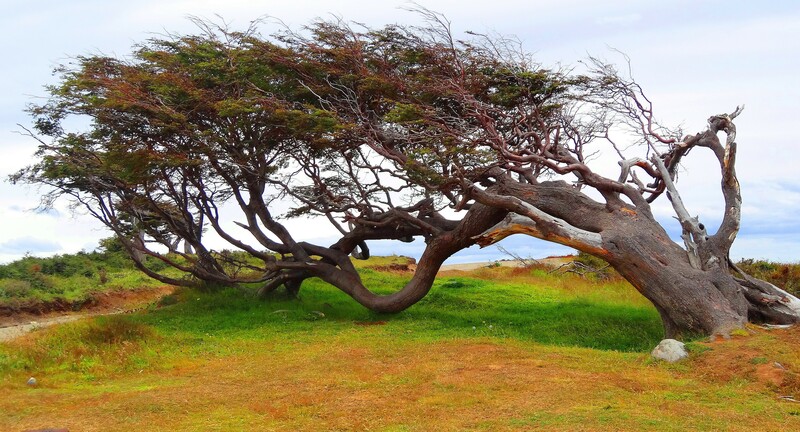 These trees are referred to as Flag Trees because they are permanently shaped like flags blowing in the wind. 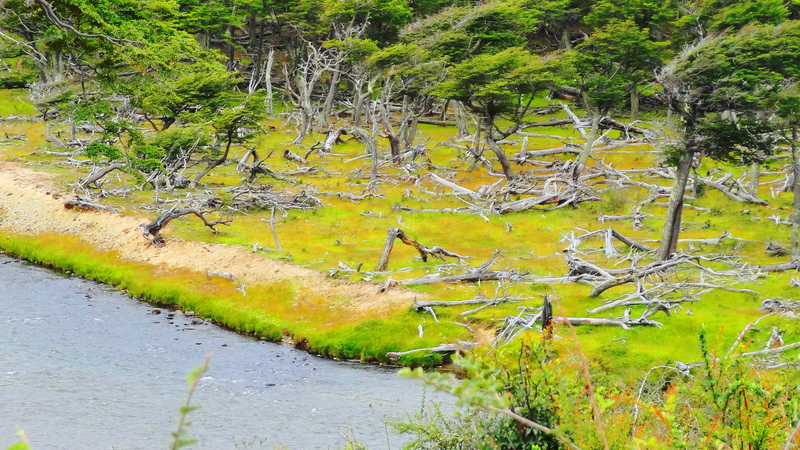 The particular trees in these photos are Southern Beech Trees. Beech Trees have shallow root systems and intense winds in bowl-shaped areas can wipe out entire forests. Some of these areas remain devoid of trees because of the steady and intense wind. This is a harsh, yet fragile environment. 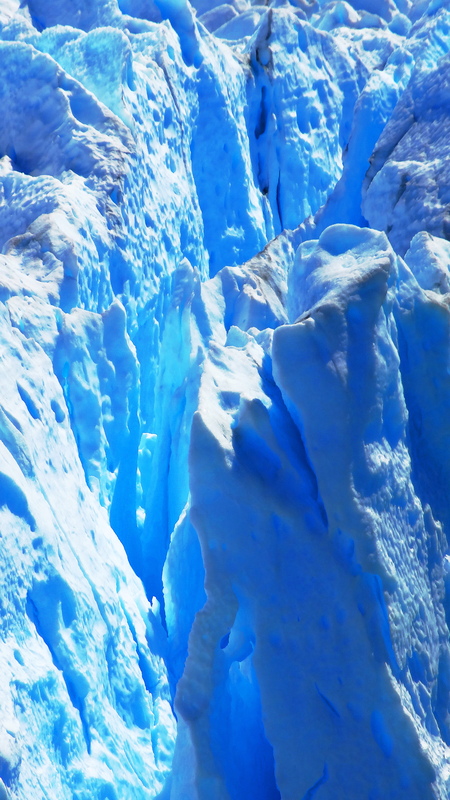 The strength of these polar winds creates a unique landscape in Ushuaia of savage and intense beauty. This was our most epic trip, so we did it twice, in 2008 and 2013! The Antarctica component was nothing short of surreal. 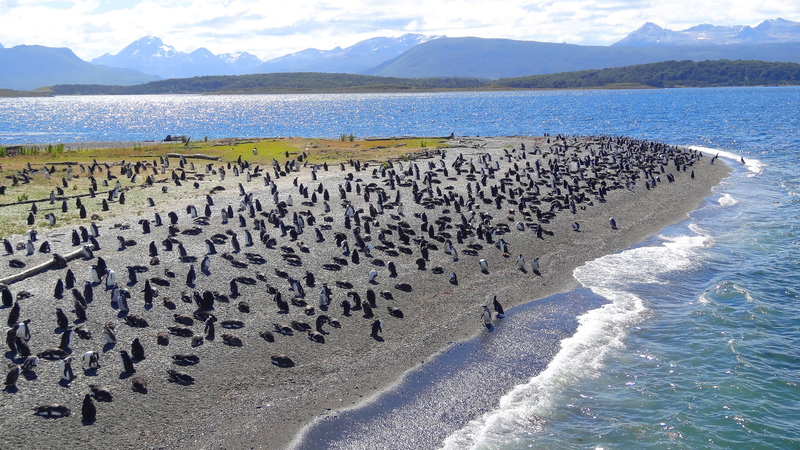 A trip to Antarctica begins by departing Ushuaia Argentina by ship and crossing the infamous Drake Passage. Wandering and Giant Albatross began following our wake as soon as we entered the passage and wildlife is viewed up close and personal 24/7 in Antarctica. Upon entering the passage, skuas landed on the ship and stayed for days. 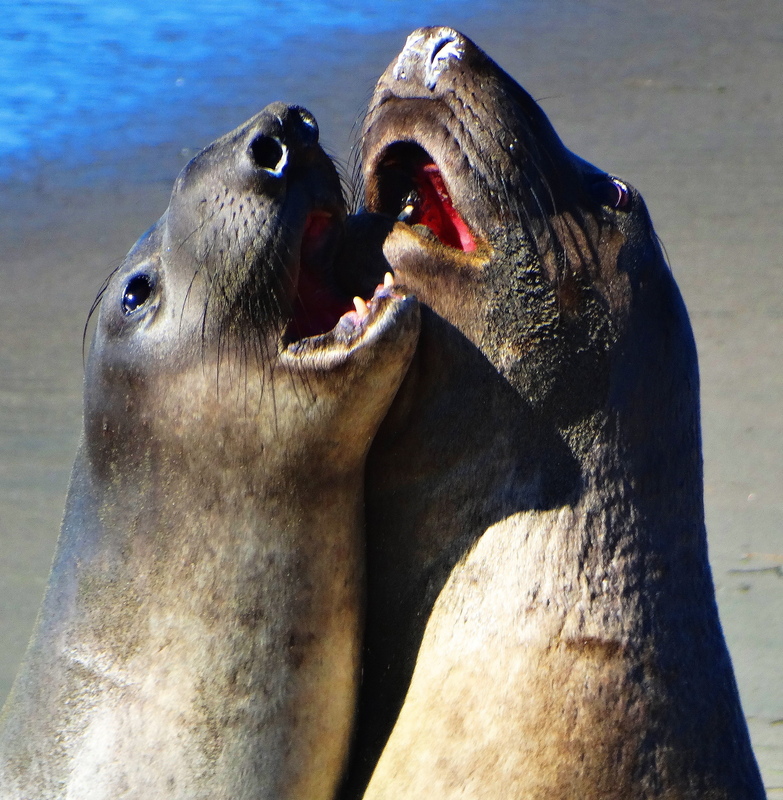 Minke Whales, orcas, grey whales, leopard seals, crab eater seals and penguins were not only seen every day, but the deeper one gets into Antarctica, the more curious and fearless they are. Whales were continuously spy hopping alongside the ship watching us with their huge eyes, curious and very unafraid. Growlers and icebergs, and stupendous tabular bergs (some as big as Rhode Island) became our constant companions for the next eight days as we explored the peninsula. It was very cold, but clear, unbelievably pristine, with fantastic visibility. 16 hour days were the norm in Antarctica with brief breaks taken to eat, use the bathroom and sleep, all of which were done grudgingly. 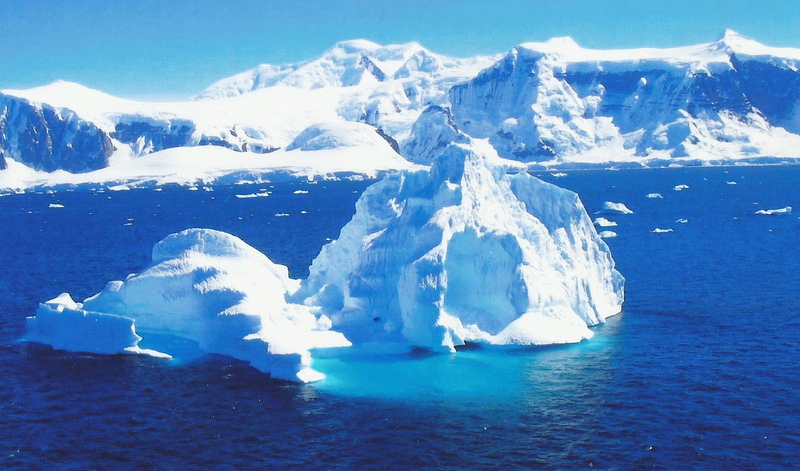 In 2008 we learned that just over 100,000 people had visited Antarctica making it the most pristine, untouched place anyone will ever see on the surface of the planet. Huge fields of snow and ice that have never been marred by human contact are everywhere. It is ethereal and otherworldly. We also had an ice pilot who navigated us through the bergs and growlers, and lectured us on how he achieved this amazingly difficult feat. Everyday we watched his eerie skill with wonder. 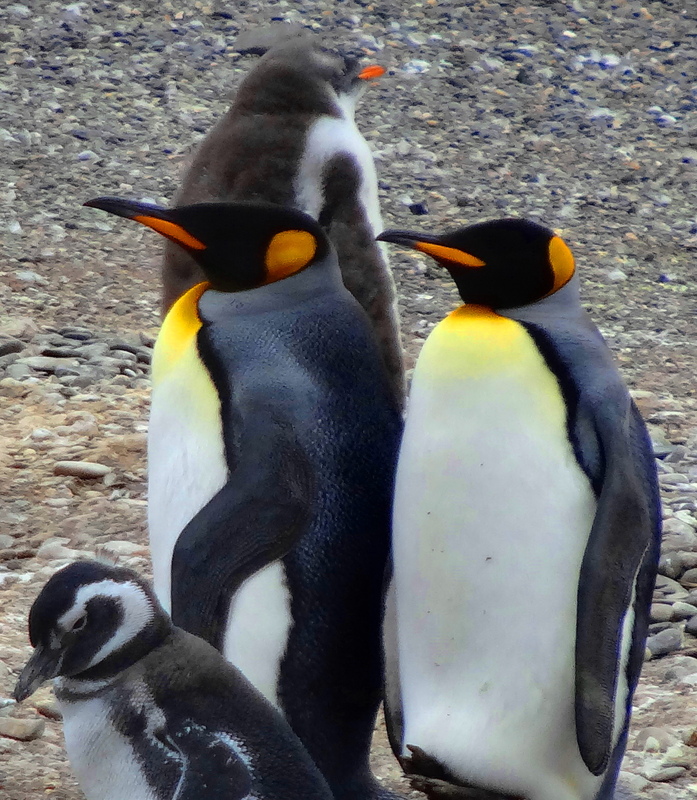 A biologist who was a penguin expert gave fascinating spontaneous lectures about the wildlife as it appeared. 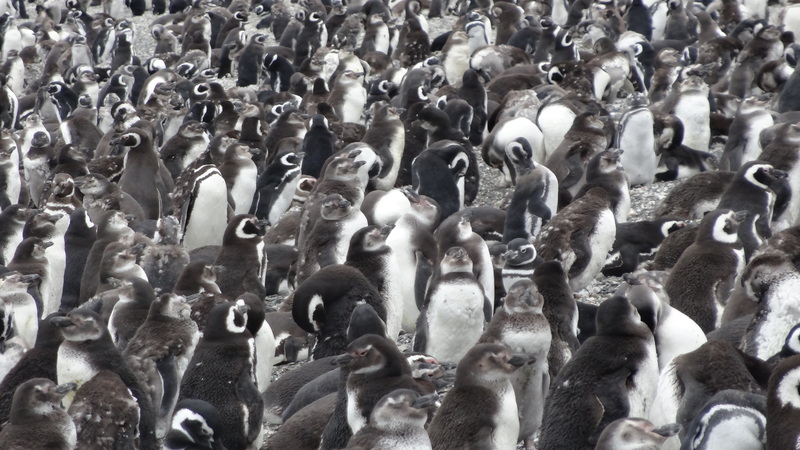 We saw penguins by the 100’s of thousands. 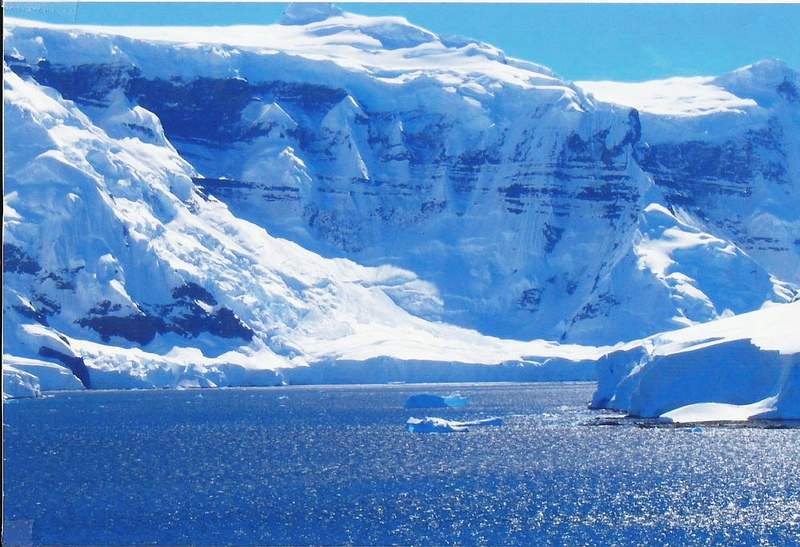 In Antarctica we visited the volcanic and warm Elephant Island. We saw Shackleton’s winter shelter and navigated the treacherous Lemaire Channel clogged with shifting ice and fierce winds. We visited the often-impassable Paradise Bay in the sunshine and explored countless bays and channels. We visited a scientific station and had the scientists attempt and succeed a very risky boarding operation by zodiac in high winds and rough seas. We wittnessed leopard seals hunt penguins causing them to leap out of the ocean like burnt toast from a toaster. 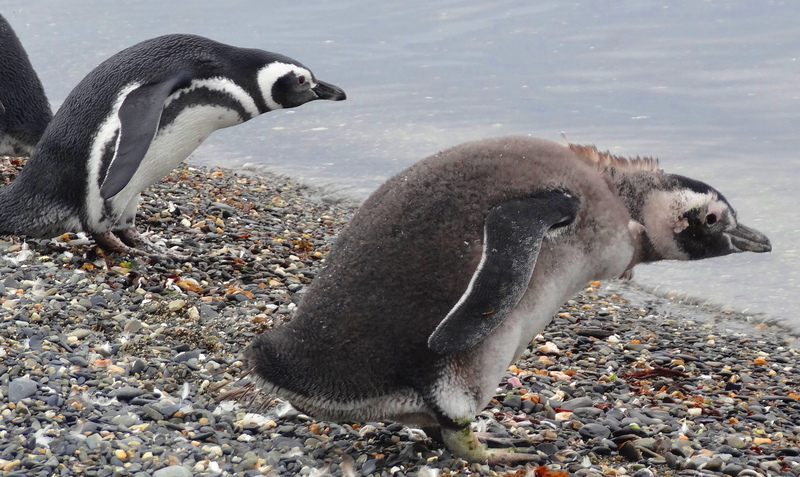 They usually were toast too, once the leopard seals had them in their sights. When they caught the penguins, the leopards would shake them like rag dolls, effectively skinning them before swallowing them whole. We skirted a Japanese whaler in close proximity for several days that was hunting Minke whales which was quite dismaying, especially since the animals were so curious and had little fear of humans. Our luck held out for the entire Antarctica experience as we had spectacular weather the entire time. 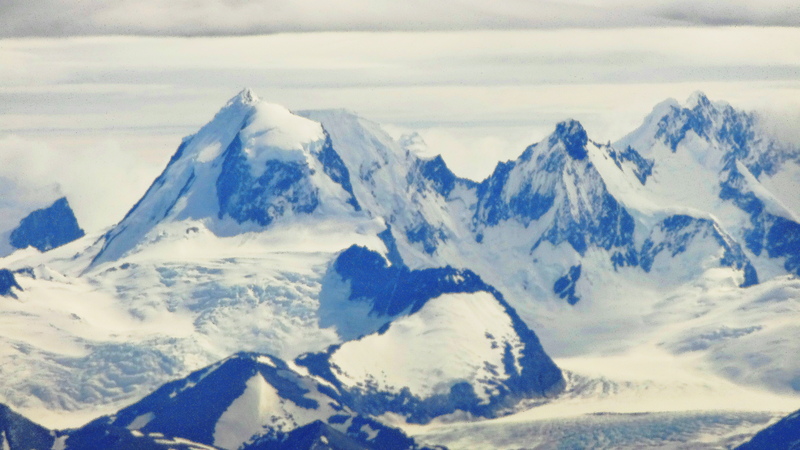 The Drake Passage is the roughest ocean passage in the world and can be terrifying to cross. 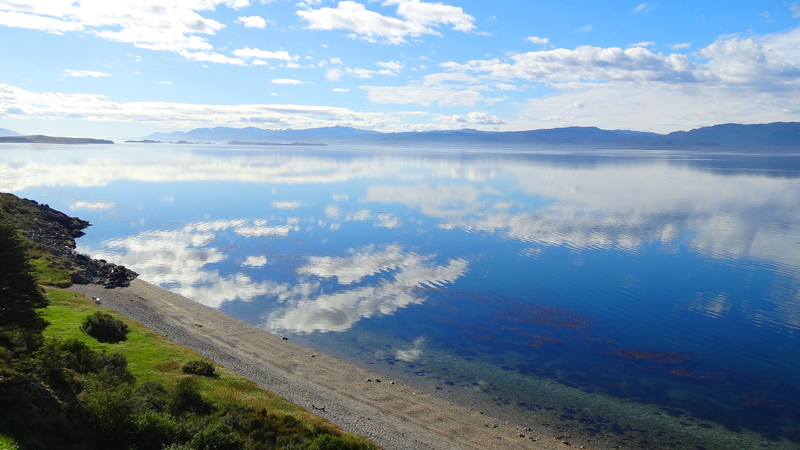 Rarely, it is calm as glass. When it is calm it is called the Drake Lake, and this is how both passages were for us. 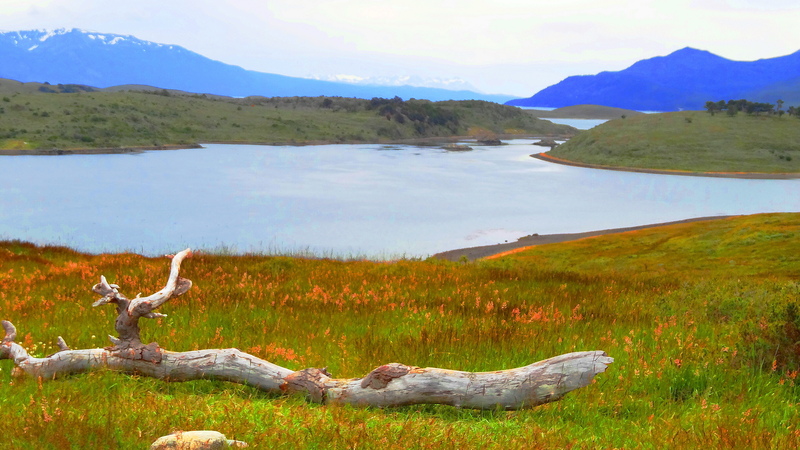 Leaving Drake on the return trip, we entered the spectacular, glaciated, Beagle channel, teeming with wildlife. and wonderful South American cities like Buenos Aires and Montevideo. We closed our trips with four nights at the spectacular Iguazu Falls. 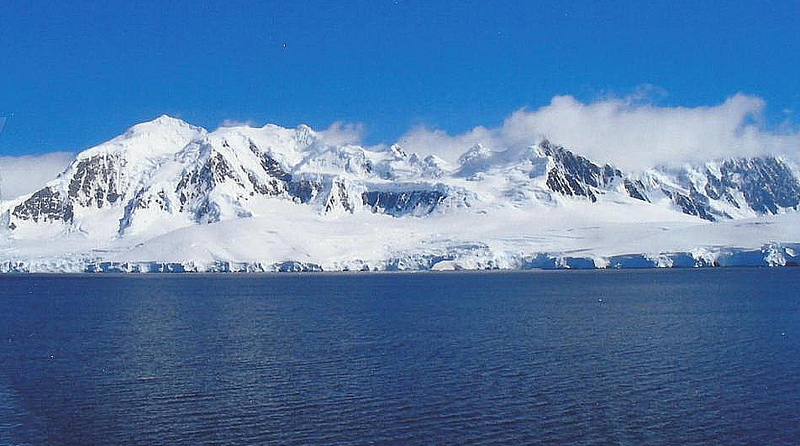 We understand that increasing tourist restrictions are being implemented in Antarctica. 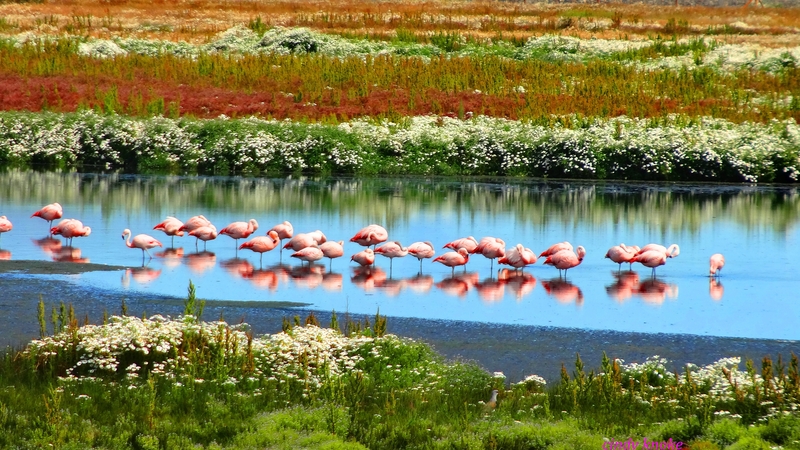 So, if you want to go, don’t tarry too long, you will be so glad to have this seen this incredible, unspoiled part of our planet, before it is ever altered by global warming.